Spider-Man: Far from Home is one step closer to being in the can as production has wrapped in Europe. Tom Holland has shared a new set video as they have finished up filming in Venice, before heading off to Spidey's home turf in New York City. The video didn't come with any major reveals as it pertains to the movie's plot itself, but it serves as a nice little checkpoint for fans who are excited about the next Spider-Man adventure. Here's what Holland had to say in the caption provided with his video, which was posted to his official Instagram page. "Honestly the best job of my life. Thank you Venice, Prague and of course my hometown London. I could not have asked for a better crew and the support from our amazing fans has been incredible. Love you all and New York here we come." Tom Holland is his usual amount of charming and continues to be a great ambassador for the Marvel brand. While plot details are largely being kept under wraps at this point, the sequel to Spider-Man: Homecoming will be an adventure abroad, which is something we haven't seen from these movies in the past. Good, bad or indifferent, at least Kevin Feige and the folks at Marvel Studios are trying to do something different with these more recent Spider-Man solo movies. What we know, even if Marvel and Sony aren't ready to pony up the information officially, is that Peter Parker will be matching wits with Quentin Beck, aka Mysterio, a villain that fans have wanted to see the webslinger do battle with on the big screen for a very long time. Jake Gyllenhaal has been tapped to play the character, as was confirmed in some recent set photos that made their way online. It's also been confirmed that Michael Keaton will reprise his role as Adrian Toomes, aka Vulture, from the previous movie. Though, he may be featured in a limited capacity. As fans will recall, his character wound up in jail following the events of Homecoming. The cast also includes Zendaya, Jacob Batalon, Tony Revolori, Martin Starr, Numan Acar, J.B. Smoove, Oli Hill, Remy Hii and Marisa Tomei. Cobie Smulders will also be back as Maria Hill, with Samuel L. Jackson once again reprising his role as Nick Fury. 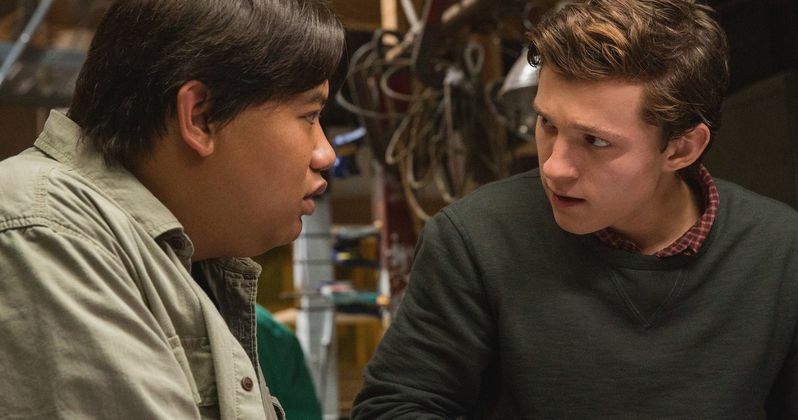 Jon Watts is back in the director's chair after successfully helming Spider-Man: Homecoming, which grossed $880 million at the global box office and was generally well-liked by both critics and fans. This will be the first movie in Phase 4 of the MCU, following the release of Avengers 4 next summer, making it a rather significant entry in the franchise. Spider-Man: Far From home is set to arrive in theaters on July 5, 2019. Be sure to check out the new set video from Tom Holland's Instagram for yourself below.